No matter how nervous the idea of contacts makes you, Sue can teach you how to get them in. 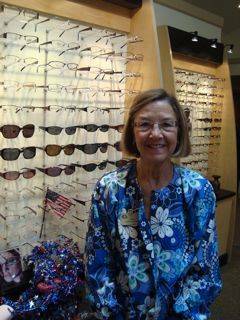 Sue Martin has been with us longer than any other staff member, and she is ready and willing to spend the necessary time to help you find the right contacts for your eyes. Though she spends plenty of time in the office, her heart is at home, where she lives with her husband and enjoys spending as much time with her family as she can.